Posted on August 1, 2014 October 11, 2014 by cornishkyliePosted in Day to day life, Expat life, PhuketTagged cinema, list, movies, rainy season, Thailand, top tips, travel. We were just heading to central to see a movie today! Then we got side tracked by the lovely weather and ended up at O2 beach club. 🙂 I love the Thai cinemas, and especially the sofas! Hmmm… sat in the dark in the cinema or out in the sunshine at a beach club – decisions, decisions! 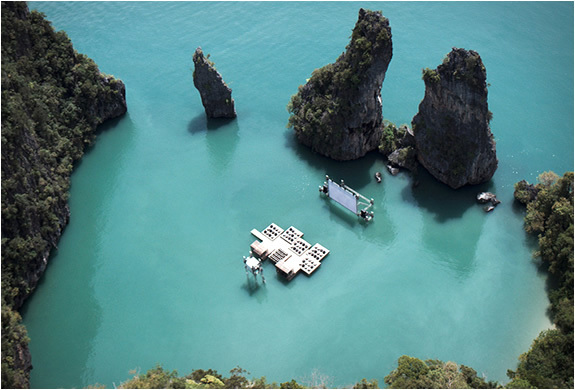 You’ve listed a couple of similarities to our cinemas in Singapore. It’s always freezing! Like seriously! My husband laughed when I insisted on wearing ugg boots in 32 degree heat, trust me, I was the one laughing when he wanted to steal my blanket! Secondly, we have the sofas too, and they recline, and I fell asleep during Godzilla only to be woken by everyone leaving around me, the shame!! Haha, I’ve been known to nod off during a couple of films; it’s all the wrapping up warm and comfy seating – it’s a total snoozefest!